The 55-foot-tall (17-meter) rocket, powered by nine kerosene-fueled 3D-printed Rutherford main engines, fired off its launch pad on New Zealand’s North Island at 7:27 p.m. EDT (2327 GMT) after a four-day delay to allow time for crews to replace a video transmitter and wait for improved weather conditions. The Electron rocket headed east from Rocket Lab’s commercial spaceport on Mahia Peninsula, where liftoff occurred at 12:27 p.m. local time Friday. The slender all-black launcher, sized for small satellite launches and made of lightweight carbon composite materials, soared through broken clouds and released its first stage to fall into the sea two-and-a-half minutes into the mission. Rocket Lab’s webcast of the launch ended after the conclusion of the Electron’s second stage engine burn around 10 minutes after liftoff, but the company confirmed the final kick stage maneuver occurred as planned. Separation of the Defense Advanced Research Projects Agency’s R3D2 satellite was timed for approximately 53 minutes after liftoff. Officials declared success after the R3D2 satellite’s deployment from the Curie kick stage, extending Rocket Lab’s streak of successful launches to four in a row after the inaugural Electron test flight fell short of orbit in 2017. 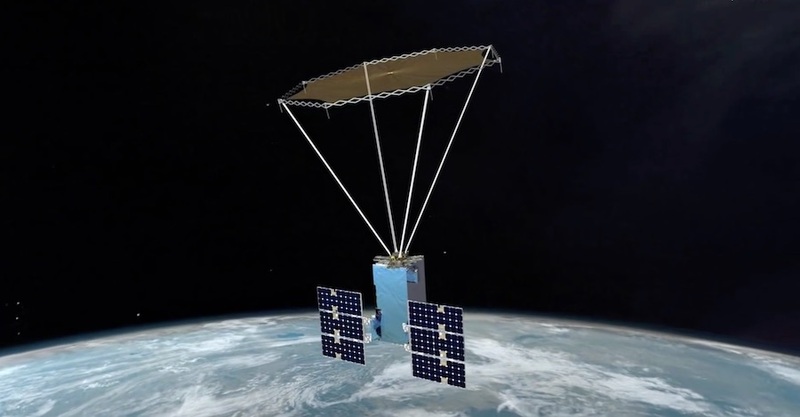 DARPA says the Radio Frequency Risk Reduction Deployment Demonstration, or R3D2, satellite was developed in a little more than 18 months, an unusually quick pace for a space mission. 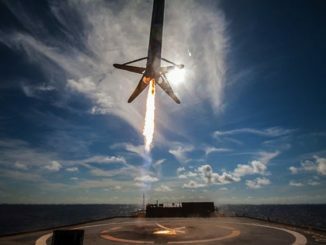 The U.S.-New Zealand launch provider plans to ramp up to a pace of one launch per month later this year. Rocket Lab is building a second Electron launch pad at the Mid-Atlantic Regional Spaceport at Wallops Island, Virginia, for missions beginning by the end of this year. 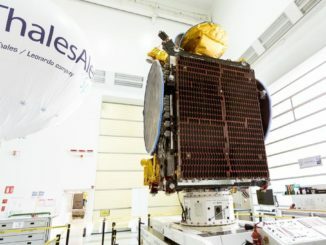 The 330-pound (150-kilogram) R3D2 spacecraft will demonstrate a new type of membrane reflect array antenna that can be packed into a tight volume for launch on a small rocket, then unfurl once in space. “What we’re doing on this mission primarily is demonstrating a new high compaction ratio deployable antenna,” said Lindsay Millard, DARPA’s R3D2 program manager. “An antenna has a lot of different uses for DoD. One example is communication. The antenna and the power you have on the satellite dictates what size of antenna you need on the ground to receive it, so the bigger the antenna you can have in space, the smaller the one can be on the ground. 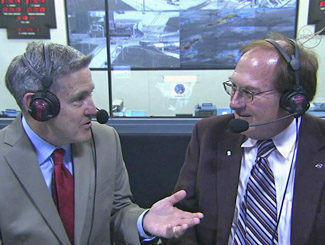 “Fitting that very big antenna into a smaller satellite makes the satellite less expensive, and allows us to leverage different types of launch vehicles that maybe we wouldn’t be able to use for bigger satellites,” Millard said. “It has four different carbon fiber deployment mechanisms that will go out on each corner, then it has a pantograph, which is a shape that kind of looks like an accordion, around the outside that will expand,” Millard said. “Then we will begin to see how flat the antenna is, we’ll do some assessments from the ground to see what it might be able to transmit. 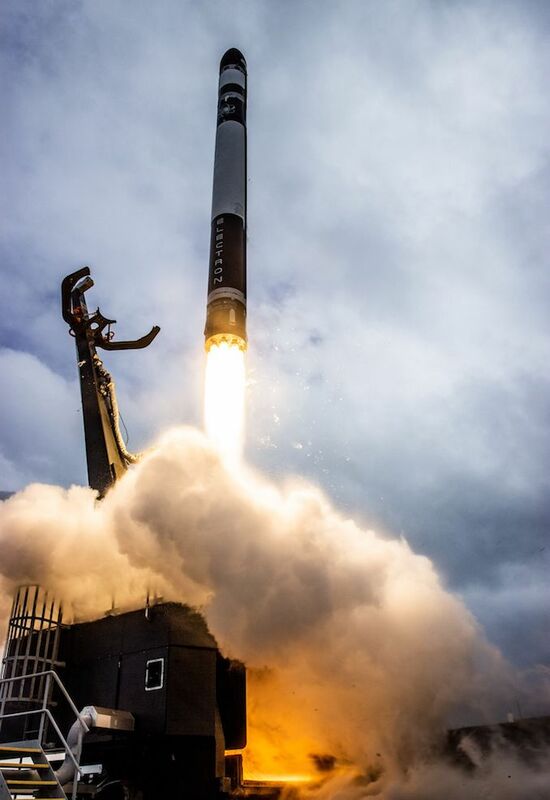 The R3D2 mission was Rocket Lab’s first launch for the U.S. military, and the company’s first launch of a microsatellite, after previous Electron flights carried clusters of much smaller CubeSats to space.